Immagine Grafica Sas informa che per l’instaurazione e l’esecuzione dei rapporti contrattuali con voi in corso è in possesso di dati anagrafici e fiscali (ragione sociale, indirizzo attività e sede legale, titolare/i della società, ecc) acquisiti anche verbalmente direttamente o tramite terzi, a voi relativi, dati qualificati come personali dalla legge. responsabile del trattamento dei suoi dati personali è Michele Lovallo, Amministratore della Società Immagine Grafica Sas di Michele Lovallo che, ai fini della presente legge ha il seguente indirizzo: Via Carlo Patellani, 46 – 20091 Bresso (MI). Ad integrazione della precedente comunicazione, confermiamo che la ns. Società ha recepito le direttive stabilite dal Regolamento Europeo indicato in oggetto, in particolare per gli art. 13 e seguenti e si dichiara disponibile a rispettare i diritti degli interessati, qui sotto riassunti. l’esistenza del diritto di revocare il consenso qualora l’interessato ha espresso il consenso al trattamento dei propri dati personali per una o più specifiche finalità. Ove applicabili, ha altresì i diritti di cui agli artt. 16-21 GDPR (Diritto di rettifica, diritto all’oblio, diritto di limitazione di trattamento, diritto alla portabilità dei dati, diritto di opposizione), nonché il diritto di reclamo all’Autorità Garante o da altre autorità Garanti. This information is intended to make known the procedures followed for the collection via cookies the information provided by users when browsing the website. A cookie is a text file that is stored in your device when you view a website.Cookies allow efficient operation of the site and improve its performance, also provide information to the website owner for statistical and advertising purposes, mainly to customize the user’s browsing experience remembering his preferences (eg remember the language and Currency that has set in order to recognize the next visit). Our site uses various types of cookies and similar technologies, each of which has a specific function. They are below lists the cookies we use, highlighting its function. From the first access these cookies allow the site to function properly and to view the content on the device recognizing the language of the country from which the user connects. If the site contains registration areas and the user is registered, will allow the user to be recognized by accessing the restricted areas. The navigation cookies are cookies and technicians are therefore needed to operate the site. These cookies allow, according to the express user’s request, to be recognized for subsequent logins so you do not have to retype your details each time you visit. In the case of e-commerce websites, if the user has added items to the cart and closed the session without completing the purchase and without deleting them from the cart, these cookies allow you to continue buying the next time the user logs on site (within a limited period of time).The functional cookies are not essential to the operation of the website, but improve the quality and the browsing experience. These cookies are used for example by Google Analytics in order to develop statistical analysis on user how to navigate the site through your computer or mobile applications, the number of pages visited or the number of clicks made on a page while browsing a site.Our site is the results of these analyzes anonymously and exclusively for statistical purposes only if the supplier uses the services in connection with the browser installed on your computer or other devices used to navigate our site. These cookies are used by third-party companies of trust that allow the user to display advertising banners on other affiliate sites, showing the latest products that the user viewed on the site. As the user navigates through our website, these cookies are also used to show products that may be of interest to or similar to those that looked at previously, relying on his browsing history. The use of these cookies do not normally entail the processing of personal data, but it can allow access to your computer or other devices, and track the data stored: these cookies connect to the browser installed on your computer or other devices used during navigation on our site. These cookies are necessary to allow the account social user to interact with our site. They are used for example to express its appreciation to you and to share with their friends company. Cookies social network are not necessary for navigation.  To learn more about cookies and to manage preferences on profiling cookie third parties please visit http://www.youronlinechoices.com. http://www.youronlinechoices.com.